FORMER SOUTH African Revenue Service (Sars) commissioner Tom Moyane‚ a day after being dismissed from the post‚ is accusing President Cyril Ramaphosa of committing violations against the constitution and of pre-empting legal processes that are underway. Pondering long and hard. Fired former Sars boss Tom Moyane has been axed by Pres Ramaphosa but is fighting back. Ramaphosa’s office said on Thursday evening that he had accepted the recommendation of the Sars commission of inquiry’s chair‚ retired judge Robert Nugent‚ to axe Moyane‚ and had served him with a notice of termination of employment on Thursday. 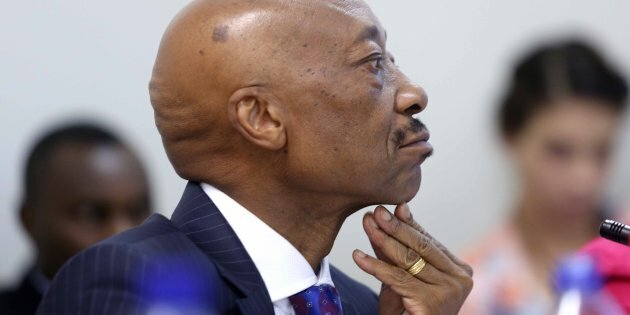 Business Day reported that Moyane was suspended in March after a string of controversies around his running of Sars‚ including a R50-billion hole in revenue collection in 2017 and a decline in taxpayer compliance under his watch. In response‚ Moyane’s lawyer Eric Mabuza said late on Thursday night that they are waiting for Ramaphosa to file his reply to Moyane’s Constitutional Court challenge of the Nugent inquiry on Friday before responding to the president’s decision to terminate Moyane’s employment contract. “This matter is inextricably linked with the ongoing Constitutional Court application‚ in which among other things the lawfulness of the establishment of the Sars Commission‚ the conduct of Mr Nugent and the appointment of [commission advisor] Mr Katz are just some of the issues which are currently before the Constitutional Court‚” said Mabuza. In June‚ Moyane’s attorney raised concerns about the presence of Professor Michael Katz on the commission of inquiry into SARS‚ “given his conflicted status as the personal and business legal representative” of the president. This was dismissed by Nugent‚ in part because he had appointed his own team for the inquiry – he was the only member appointed directly by Ramaphosa.